Datsuns’ Outta Sight/Outta Mind, bought the day it was released in 2004 I remember as being a bit of a disappointment with a good moody cover and 2 good tracks. Listening to it again today, I wouldn’t disagree. 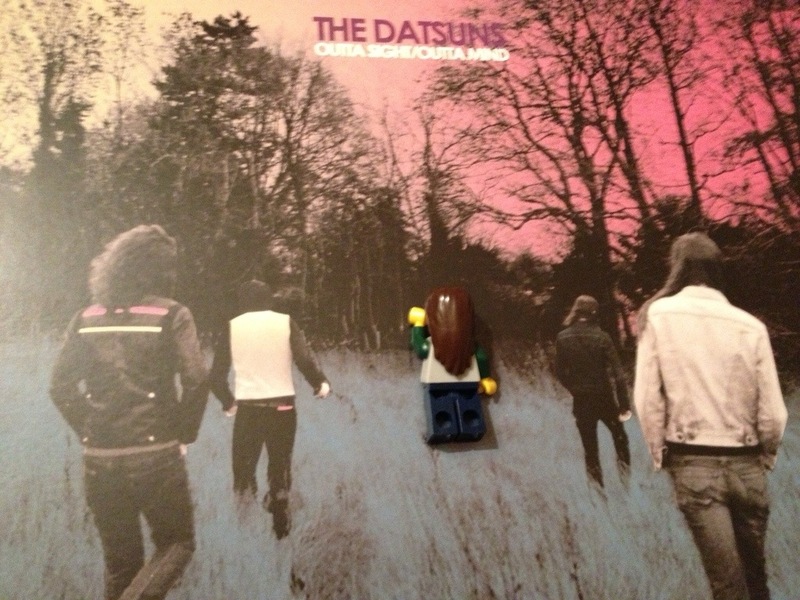 The Datsuns was a good solid in-your-face rock LP from an unusual place and I have always been a bit of a sucker for bands whose members take the band name as a surname, like the Donnas and the Ramones. The Datsuns also score bonus points for having someone with the Christian name Dolf as a member. My problem with this LP is simply the lack of tunes on display. What The Datsuns do really well is to hit a wall of aggressive noise, which is fine as far as it goes but if there aren’t any real tunes tied to this then my brain starts to shut off. ‘Girl’s Best Friend’ and ‘Messin Around’ are excellent, the former a particularly neat romantic tale and the latter with producer John Paul Jones stealing Jon Lord’s Deep Purple organ sound to great effect. But it’s no coincidence that these are the two best tunes here, the rest is a bit too homogenous for me. Unfortunately, I’ve just listened to the second side of this LP twice and I can barely distinguish between the tracks at all. Good moody cover though. Sorry Datsuns. Girl’s Best Friend ROCKS though! Wow 29 down … even the picture is fuzzy and unformed.